Fjord Line's history started in Bergen and dates back to 1993. Over the years, the company has experienced both smooth sailing and rough seas, but is now cruising into the future with a modern fleet. Our history can be traced back to a distant past in Western Norway. In the old days, it was quite common for farmers and people who lived in coastal villages in Western Norway to create local steam boat crews and traffic companies to transport goods such as milk, meat, fish and vegetables into the towns. On their return home, they brought back sought-after items like textiles and hardware. As time went on, many of these small companies were amalgamated. Fjord Line is a result of a number of such mergers. When the bridge between Askøy and Bergen opened in 1992, the ferry and bus company, Rutelaget Askøy-Bergen, decided to close its ferry business. The company sold all its ferries and used the income generated to buy a large ship hull. The owners fitted new cabins, christened the ship MS Bergen and established a new route between Hanstholm in Denmark and Bergen and Egersund. The company hoped to encourage people in Western Norway to venture out into the world. In addition, they were also hoping that European tourists would find their way up to the more western parts of Norway. MS Bergen in its younger days. In 1993, MS Bergen, which is today known as MS Oslofjord, started sailing between Hanstholm, Bergen and Egersund. Five years later, we expanded the business. 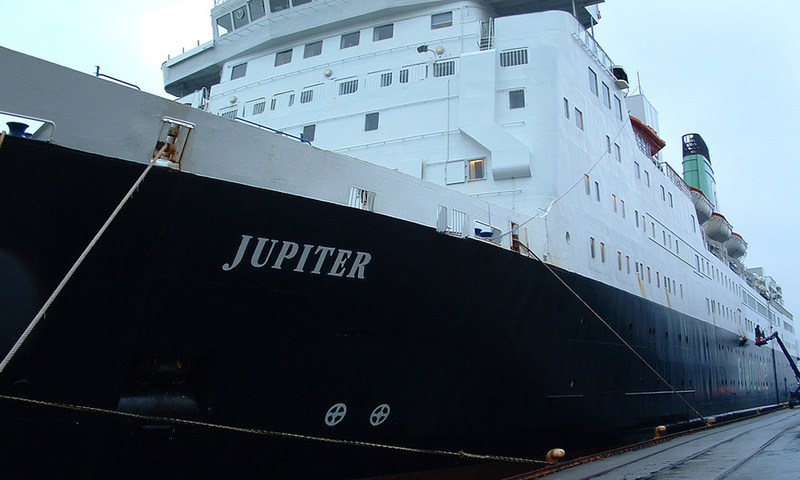 MS Jupiter operated the England line between Newcastle and Western Norway. 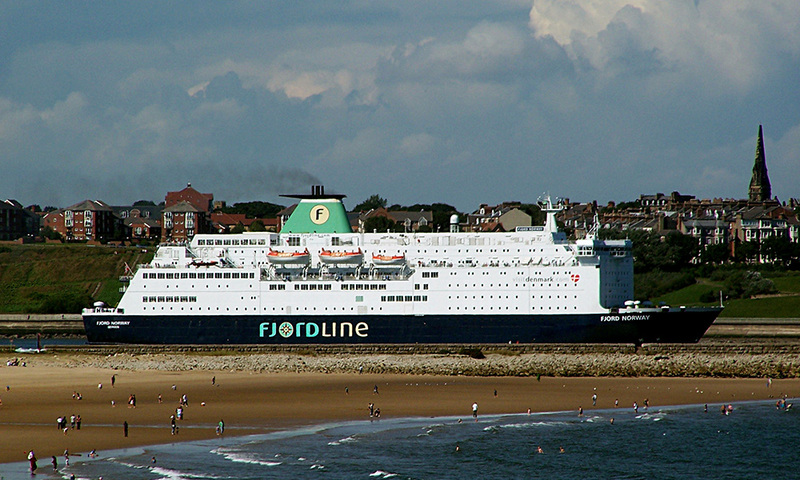 Color Viking was bought and renamed MS Jupiter, and the Fjord Line route network was expanded to include sailings between Newcastle in England and Western Norway – the so-called England line. At that time, Fjord Line was the only company involved in international freight and cruise transport from Western Norway, so they were good times for us. MS Fjord Norway was put into operation in 2003 and sailed between Denmark and Norway. In the same year, Haugesund became the new port of call for Fjord Line. With a substantial increase in capacity, this was the year that Fjord Line experienced additional growth in the number of passengers. In 2005, we were challenged by Color Line, which introduced the previous Kiel ferry, MS Prinsesse Ragnhild to the route between Denmark and Western Norway. 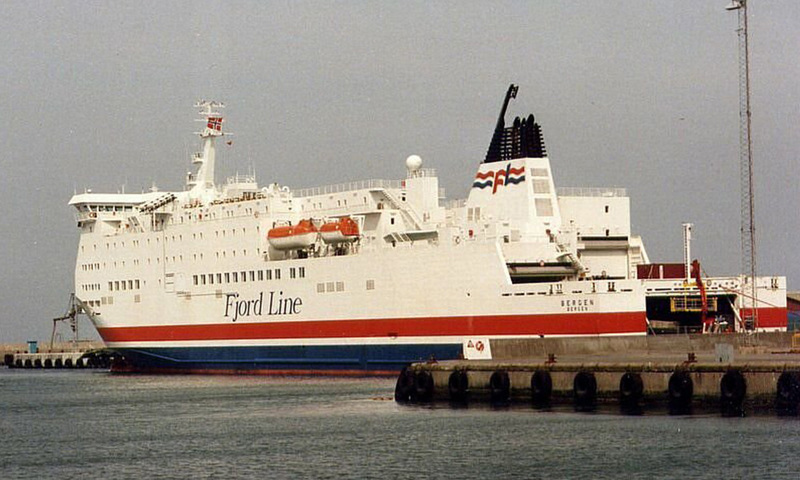 These were tough times for Fjord Line and finally we decided to let DFDS Seaways take over the England line and MS Fjord Norway in order to concentrate fully on sailing to and from Denmark and Western Norway. In 2006, Fjord Line worked hard to try and reverse the downward trend. And fortunately, things started to pick up. In 2007, we got new owners. The high-speed catamaran, HSC Fjord Cat, was put into operation on the new express line between Hirtshals and Kristiansand in 2008. 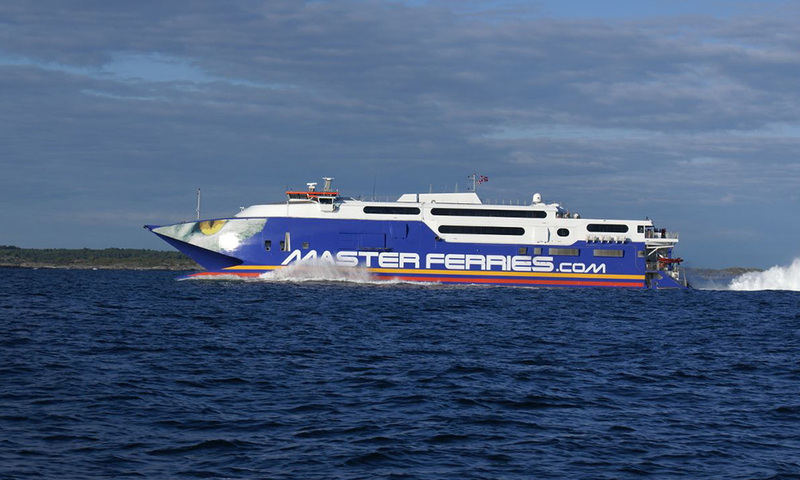 In 2008, Fjord Line merged with Master Ferries. 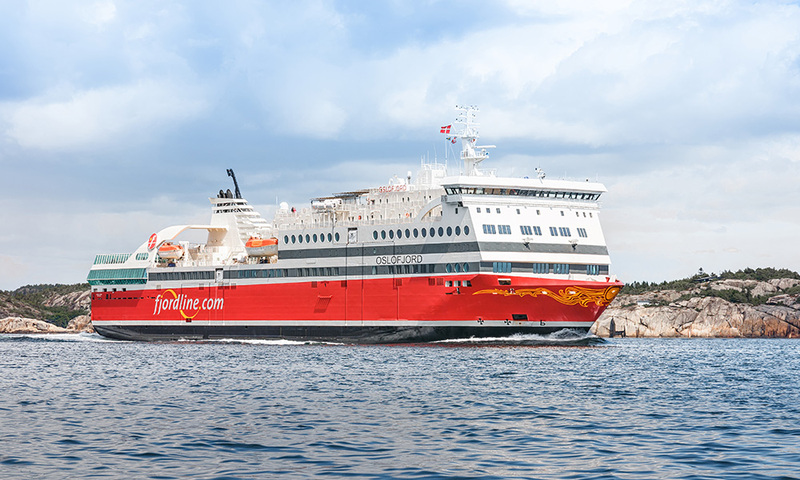 The high-speed catamaran, HSC Fjord Cat, was put into operation on the new express line between Hirtshals and Kristiansand. Stops in the ports of Egersund, Haugesund and Hanstholm were discontinued, and the focus in Western Norway was on the Hirtshals-Stavanger-Bergen route. MS Stavangerfjord entered service on 14 July 2013. Having acquired new owners and new management, in 2010 Fjord Line decided to make significant changes to the fleet. We decided to invest in two large, modern and eco-friendly cruise ferries. When the first of the two sister ships, MS Stavangerfjord, was entered service on 14 July 2013, it marked the beginning of a new chapter in our history. 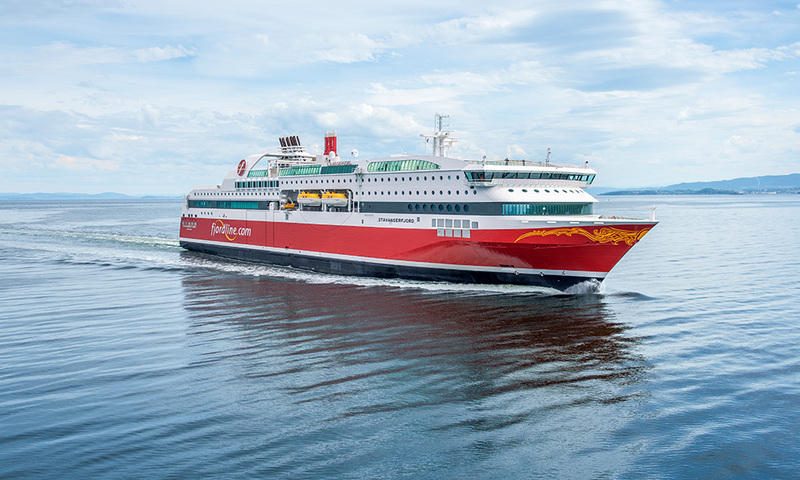 MS Stavangerfjord serviced the Hirtshals-Stavanger-Bergen and Hirtshals-Langesund routes, and for the first time, Fjord Line could offer transport between Denmark and Norway to those living in Eastern Norway. MS Bergensfjord started sailing on 9 March 2014. 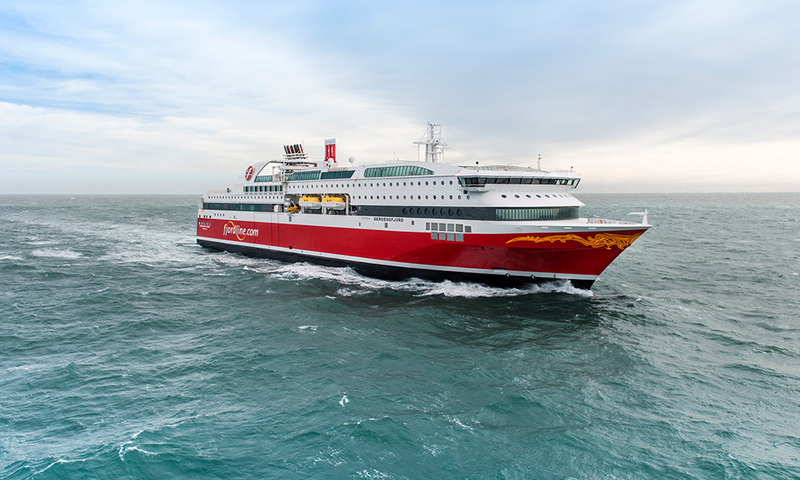 On 9 March, her sister ship, MS Bergensfjord, made her first voyage and since then, Fjord Line’s cruise ferries have almost daily departures between Hirtshals in Denmark and three ports in Norway. MS Oslofjord started sailing between Strömstad and Sandefjord in 2014. We achieved another milestone in Fjord Line’s history when the completely renovated MS Bergen started sailing between Strömstad and Sandefjord on 20 June 2014 under its new name: MS Oslofjord. In January 2015, Rickard Ternblom took over as CEO of Fjord Line. In January 2015, Rickard Ternblom took over as CEO of Fjord Line. Mr Ternblom is an economist and previously worked for Stena Line for almost 20 years before taking the helm at Fjord Line. He has had various roles and has worked in Sweden, Norway and Southeast Asia. For a time, he was also the route director for Stena Line’s Frederikshavn-Oslo route. 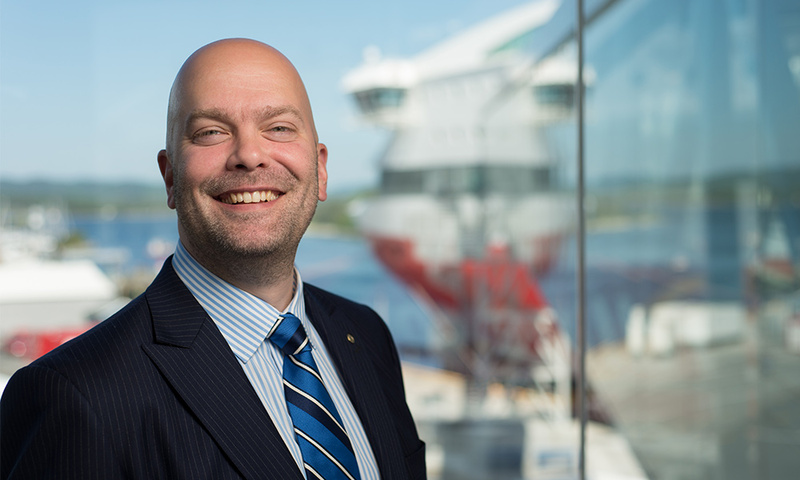 He joined Fjord Line in spring 2014 as director of the company’s Langesund route. In the autumn of 2015, we acquired strong new owners: Ferd. With Ferd’s experience, expertise, networks and capital base, the company is in a position to assist Fjord Line’s continued development.